Heureux de te revoir ! Mémoriser mes informations Mot de passe oublié ? Merci de vous être inscrit en tant qu'un Global Citizen. Afin de créer votre compte, veuillez nous fournir votre adresse e-mail. Vous pouvez consulter notre Politique de confidentialité pour savoir comment nous protégeons et utilisons les informations que vous nous fournissez. Si aucune adresse e-mail n'est associée à votre compte Facebook, vous devrez y remédier avant de pouvoir vous inscrire. Ce compte a été désactivé. Merci de nous contacter à contact@globalcitizen.org, si tu souhaites réactiver ton compte. Des personnes qui veulent en savoir plus sur les défis les plus importants de notre planète et comment y faire face. L'extrême pauvreté prendra fin grâce à vous. Consultez les vidéos et les contenus originaux publiés chaque jour pour en savoir plus sur les thèmes qui comptent le plus à vos yeux. Envoyez des pétitions, des e-mails ou des tweets aux leaders mondiaux. Appelez des gouvernements ou prenez part à des rassemblements. Nous vous proposons différentes façons de vous faire entendre. Rencontrez d'autres Global Citizen qui sont intéressés par les mêmes thèmes que vous. Restez à l'écoute de leurs actions pour changer le monde. The hijab is gaining more visibility in the fashion world. Historically, there has been a massive blind spot in the fashion world when it comes to representation of the Muslim community. But recently more brands are pushing back against religious and gender discriminatory attitudes with inclusive campaigns. You can join us by taking action here to empower girls and women around the world. The hijab is finally hitting mainstream advertising. 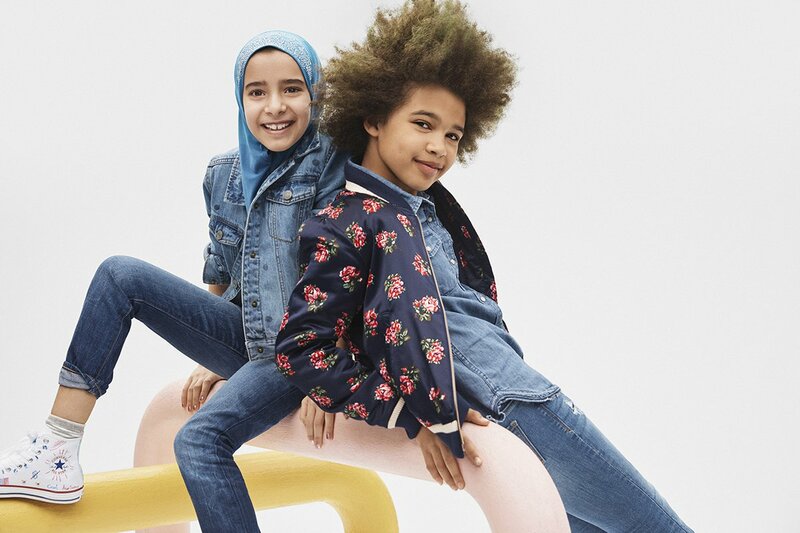 International clothing retail company Gap Inc. is getting props across the internet for a diverse new ad campaign featuring a young girl wearing a hijab, reported Teen Vogue. "You have nooooo idea how important this is!” one Twitter user said about the diverse photos and video. 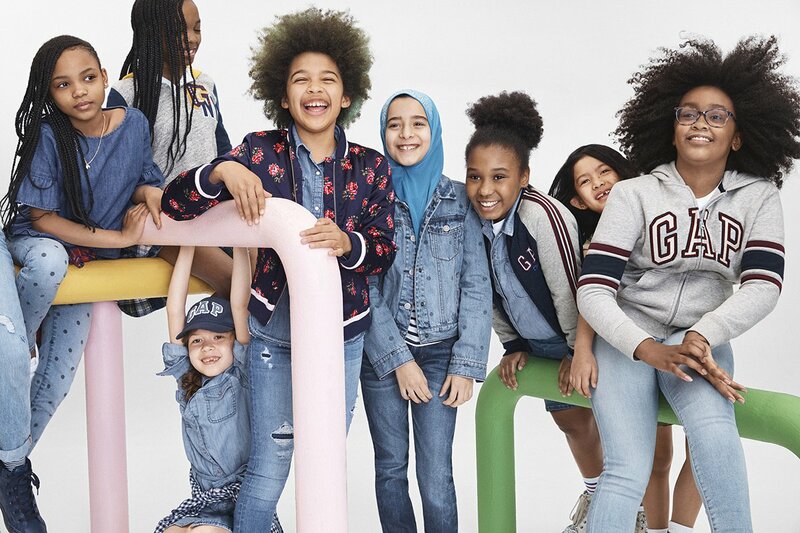 The brand's latest campaign, the kid-focused "Gap to School," spotlights children from P.S. 153 in Harlem, New York, as they dance, sing, play instruments, and run around wearing classic Gap denim and tees. The shoot was overseen by Hamdia Ahmed, who became the first Miss Maine pageant contestant to wear a hijab last fall. Images from the ad were released in late July, according to BuzzFeed. Viewers were quick to note the many black students proudly wearing their natural hair, and a young girl pairing a headscarf with her denim jacket and Converse sneakers. And many expressed having an emotional reaction to finally seeing images that reflected their culture in mainstream fashion. The ad marks the latest campaign to reflect the diversity of its audience, noted Emirates Woman, adding that a spring Gap campaign featured a hijabi model in its summer collection and Dolce & Gabbana launched its first line of hijabs and abayas last year.